All hires commence 2pm Saturday and end at 10am on the day of departure, unless prior arrangements have been made. All prices quoted are from Saturday to Saturday and all bookings must be accompanied by a £50.00 deposit with the balance to be paid on arrival. Our six berth thirty five foot static caravan offers a modern and stylish feel, ideal accommodation for couples and families looking to stay in the Lake District. We are ideally situated between Penrith and Keswick and only 4 miles from Ullswater. 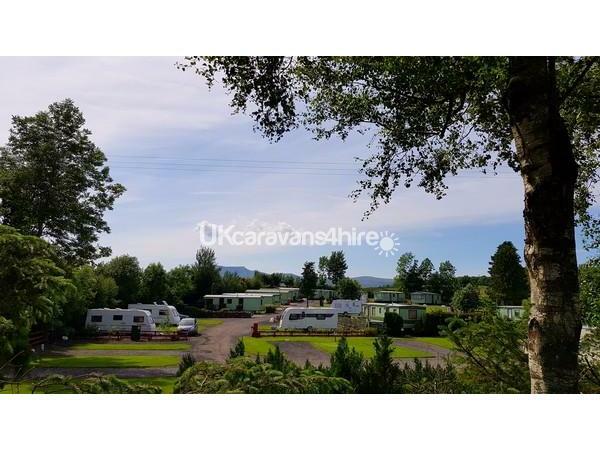 The caravan has a fully equipped kitchen including an efficient gas oven, fridge/freezer, microwave, kettle, cooking utensils, cutlery and crockery. The spacious living area has a gas fire and a 32" flat screen TV while the double bedroom and twin room are comfortable and offer plenty of storage space. Windows are double glazed and each room in the caravan has heating so it can be used all season.